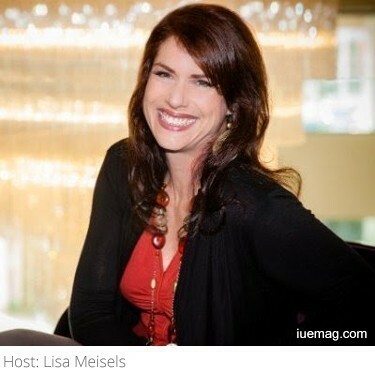 In this episode of the Empowered Living Show, I interview Luci McMonagle who is an Abundance Breakthrough Coach helping women entrepreneurs manifest more miracles and magic in their lives so they can have more money, more freedom and more joy. Luci McMonagle is a world-renowned person of influence and community builder. She is the known as the go person for women that are ready to transform their lives with abundance breakthroughs to have money miracles. Luci is a Transformational Abundance Breakthrough Coach, host of the Wealthy Wednesday Show, and an international best-selling author. Her mission is to empower women entrepreneurs to become multimillionaires. You can be sure as you listen to Luci’s story, she is a true example of what she teaches. She tells us about her struggles of being brought up in a poverty-stricken life that was filled with childhood tragedies and traumas and how she vowed not to continue the same pattern. She made the powerful decision over and over again to transform her life into one of abundance, wealth, and happiness. Luci has manifested millions in her life while working part-time by Mastering the Art of Abundance. She empowers women to live a spiritual, practical, and powerful life, so they can have more money, more freedom and more joy while having a greater impact in reaching her heart’s desire. Her interview is filled with nuggets of wisdom. She encourages listeners to decide now to open their mind, watch their habits and recognize the miracles that are occurring in their lives. Her favorite book of all times is called You Can Heal Your Life by Louise Hay which she states saved her life. Currently she is enjoying The Little Money Bible by Stuart Wilde which explains the energy of money and how the Universe really works. Luci’s clients usually come to her confused, wanting to help people but not knowing how. She helps them package their information to provide powerful value to those they work with. She explains the cycle of frustration, balance, energy, giving and receiving. Most of her clients’ biggest struggle is the ability to receive. She assists them get over their worthiness issues by taking them through a process that helps them understand where the stories come from. From there she helps them sort out their thoughts, choose forgiveness and let go. Luci tells listeners about being unaware of what you’re affirming with your thoughts and how this shows up in your life. The very first step in having and maintaining success is to become aware of what you’re thinking and the stories that occur that are patterns in our lives. As you do the work on the process over and over it’s important to be careful to not beat yourself up when you slip and to just keep practicing. One tip that Luci gives that can lift you up instantly is the scent of citrus which lifts your spirits and is the scent of abundance. She also suggests what do you have that is abundant in your life. Start to reaffirm the abundance you have all around you which allows you to recognize what you have already in your life and then you can receive. What you focus on expands. Self-sabotage, Luci explains is a survival mechanism formed when you were a child. This eventually shows up in your life as lack. Be curious where the thoughts and stories came from and know that you can change it simply by choice. Luci has been generous in offering her 1-sheet, simple wealth planner at no cost. Download it here: http://bit.ly/wealthplanner. She wants you to know that this is not a budget but rather a fun planner that helps to bring abundance into your life.